The previous nodes didn't involve changing actual code, you just created Objects from Classes and interacted with their methods. The actual Classes are created by editing their source code, which can be done in BlueJ by double-clicking on any class icon. public means the method is available to any other Class or Object in the world. 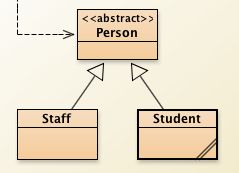 private means the method is only for internal object use, but cannot be called by other Objects. When you click on an object on BlueJ's Object bench, you can see the public methods but not the private ones since no one outside the Object has access to them. String means the method returns an item of type String. In Java, every method needs to declare its return type. It can either be an Object, a data type like int or boolean, or it can be void which means it returns nothing. after submission results in incorrect? Honzis, you don't need to include the brackets around the answer. 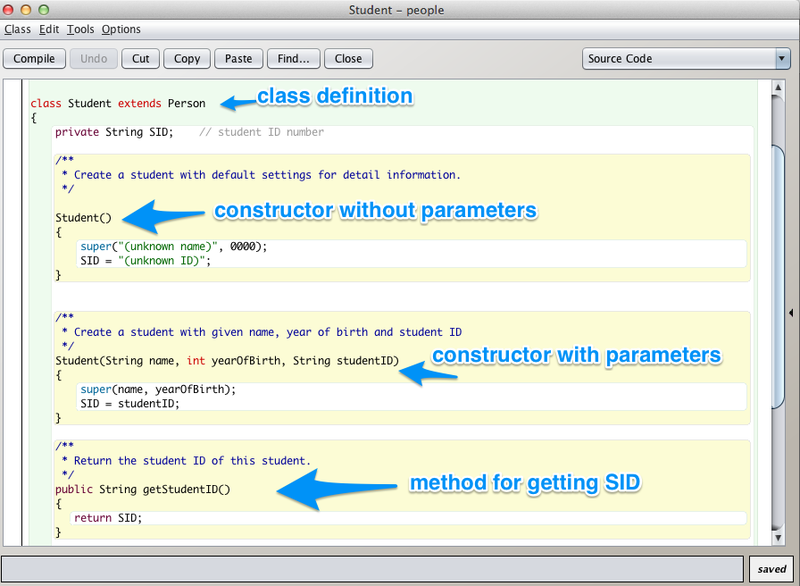 As a college student who major in EE, I love this kind of learning java !